The Assemblies of God has servicemen and servicewomen stationed throughout Europe, and every year, a special retreat is held for them. 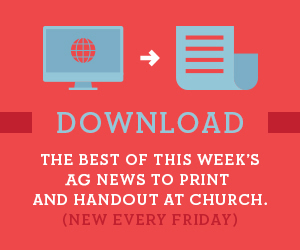 The AG has recently developed a new resource that provides explanation to visitors and reinforcement to members about Pentecostalism, specific to the Assemblies of God. An Iowa church in a no-longer-dominant white community seeks to become multiethnic. She attended church faithfully every Sunday, but her life outside of church was on the other end of the spectrum. Attracting newcomers can take years in Mormon-dominated Utah.